Camotes is a group of islands located in the northeastern part of Cebu, with 3 major islands (Pacijan, Poro and Ponson), and 1 small island called Tolang.. The Capital of Camotes is the Poro town but since most resorts are located in San Francisco, it became the major hub for tourists. 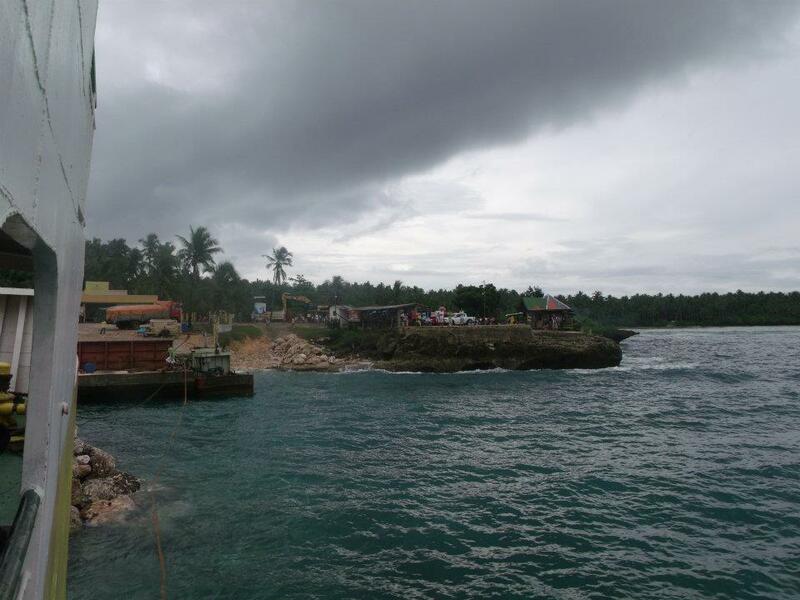 It was a gloomy day when we arrived in Camotes. We were sad because we thought that our Camotes trip would be spoiled by the bad weather. But good thing, the next day, the sun did shine. Hurray! There are a lot of resorts to choose from, but as a practical budget traveler, it is wise to choose Santiago Bay Garden Resort. The resort is located in Brgy Santiago, just few minutes away from the port of consuelo. Remember that the port of Consuelo is nearest to the resort, not in Puertobello or Poro. Santiago Bay Resort’s cheapest accomodation is 1,000 php for 2 pax. It is a nice place to stay because it is strategically located near the wide stretch of white sand beach of Santiago and it is also a few walks away from few grill restaurants. Santiago Bay Resort is the best place (for me) to stay whenever you are in Camotes. You can also choose Mangodlong Rock Resort, a higher-end resort and a sister resort of Santiago Bay. You can reach them through their office in mainland Cebu which is in Mandaue through phone number (+63 32) 4203385. The stretch of white sand beach in Santiago. Kayaking in the lake cost us only 50php per person for an hour. At first, I was hesitant because it might be costly, but I was wrong. It was my first time to ride a kayak. If you need more assistance about tourism info in Camotes, just visit the Tourist Information Center. You will surely find it helpful to ask questions in the tourist info center. They might as well give you an itinerary, if you do not have any. And remember, it is free of charge. Sugba Tuwa ug Kilaw which means Grill, Fish Soup, and Raw seasoned fish. That is the specialty of Pito’s Sutukil. Their food is great and the price is reasonable enough. From Cebu: From North Bus Terminal, take the Danao-bound jeepney or minibus going to Danao port. You also have the option to take jeepney from White Gold Club or Vhire from SM. 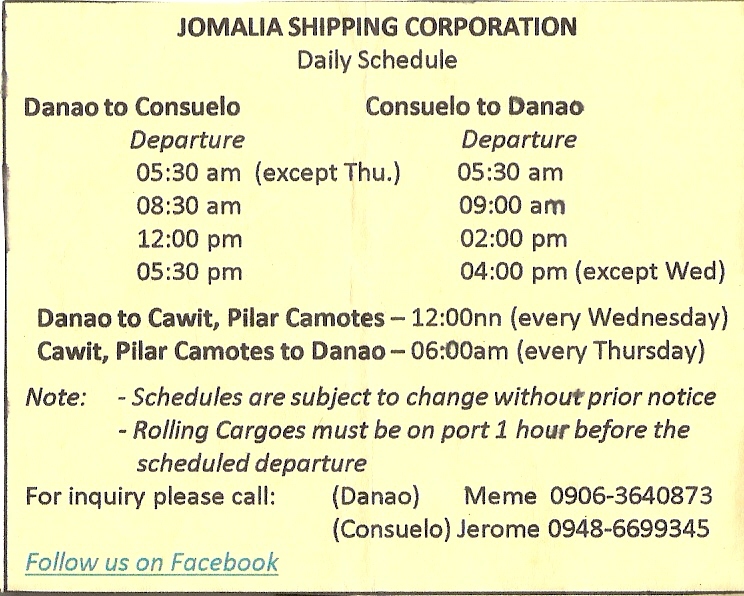 Take a 2-hour ferry from Danao port bound for Consuelo Port. I prefer Jomalia Shipping because they have comfortable seats. From Manila: Take the plane bound for Cebu and then take the jeepney/bus/vhire to Danao port. Just try to discover yourself in Camotes.. It might be helpful to you.